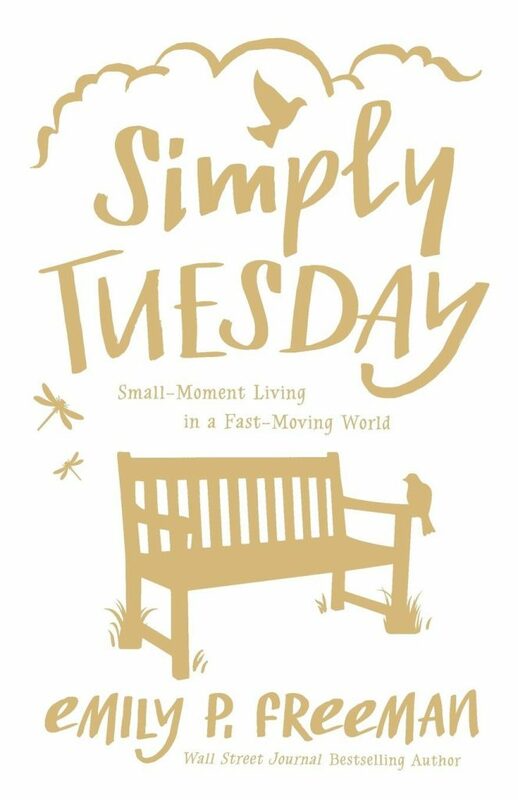 But real life happens in the small moments, the kind we find on Tuesday, the most ordinary day of the week. Tuesday carries moments we want to hold onto–as well as ones we’d rather leave behind. It holds secrets we can’t see in a hurry–secrets not just for our schedules but for our souls. It offers us a simple bench on which to sit, observe, and share our stories. Jesus lived small moments well, slow moments fully, and all moments free. He lives with us still, on all our ordinary days, creating and redeeming the world both in us and through us, one small moment at a time. It’s time to take back Tuesday, to release our obsession with building a life, and believe in the life Christ is building in us–every day. I enjoyed this book, and I read it at just the right time. It is a good reminder that in this crazy busy world that we live in we need to to slow down and enjoy the everyday moments that God has given us.